The saree is the nin-yards wonder that nobody can have enough of. It is versatile and simply unparalleled. Designer sarees embodies the quintessential qualities in a woman, such as beauty, sensuousness, and femininity. You cannot go wrong in a saree and you can pretty much wear it to any place you want to, be it your board meeting to your casual meeting with friends. But if you are someone who is trying to find novel and interesting ways to update your saree wardrobe, you have come to the right place. Pick up designer sarees and try out different ways to look hip and trendy in traditional sarees. So, strut your stuff, the world is your runway! Here’s how you can add fresh new styles to your saree wardrobe and renew and revamp your old one. Discover fresh new ways of wearing the classic traditional saree. Draping is the new queen, try different ways of draping your saree and add more interest and value to your desi look. I am bowled over with the uber-chic dhoti saree. It is those insta love stories, I came, and I saw it on Instagram and just fell in love with its sheer sophistication and the right dose of quirk factor. Yes, it is the dhoti saree or the dhoti pant saree. It isn’t as complicated as it looks, just grab the saree of your choice, drape it like a dhoti and wear it with a pleated pallu. This is the most stylish way of wearing your saree. If you are bold enough to try it, you can wear it at your bestie’s shaadi or at a smart evening soiree. The best way to enhance the look of this dhoti saree is by wearing it with the right blouse. The blouse with ruffle sleeves, or a Bardot crop top, just give your saree look a fresh new spin. One of my favorite fashionistas wore it first and I was hooked. Give your staid traditional saree a stylish makeover. Wear your saree with a stylish palazzo. This look will particularly appeal to you if you are a fan of Indo-western ensembles. Surprise your friends with this smart and stylish outfit at a fun Mehndi night or an impromptu get together. You can either wear a traditional silk saree with it or solid colored trouser or you can wear it the other way. 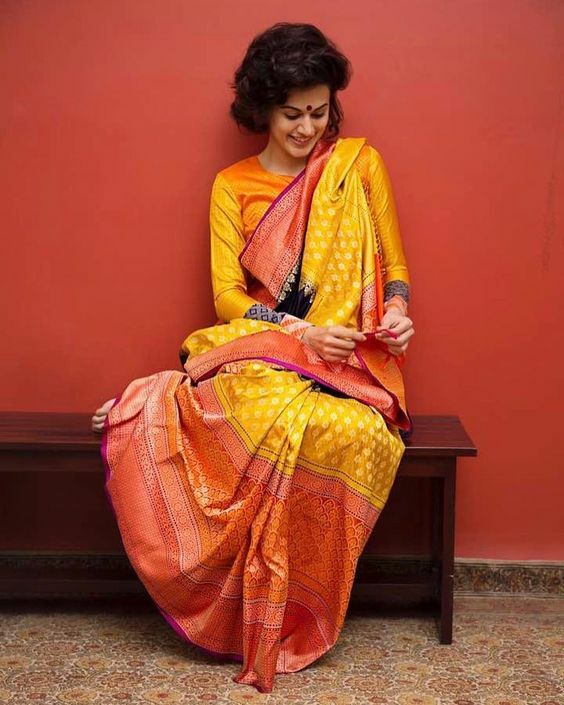 A plain saree with a printed palazzo. Your saree isn’t complete without the right touch ofa funky blouse. You can wear aruffle cold shoulder blouseor a blouse with tassel details. It is one way of transforming your saree look instantly. Enhance your slim waist by pleating the pallu and pleat it over the shoulder. Now, where can you wear it or flaunt this look? Well, you can try this look at afancy brunch or even that special Diwali party. If you are someone who likes the classic way of draping a saree, you can wear a gorgeous saree with an easily falling pallu. You can accessorize your look with Jhumkas or chaandbaalis and you can get the perfect look. This traditional pallu design is tailor made for traditional family get-togethers. Well, you have tried the traditional way of wearing your saree pallu, but how about the front pallu or as we more commonly say the ‘sidha pallu.’ This look works wonders to a fancy dinner party or even at a friend’s sangeet. Since this look is different, you should let this look take the center stage and not tone it down with too many accessories. Just the saree and a healthy dose of confidence are all you need to nail this look. You can also cinch your waist with a metallic belt, a gold one with filigree work or a stone-encrusted one. It gives the impression of a teeny-tiny waist. You have worn your long embroidered jackets with palazzos or wide-legged pants, it is time now you paired it with sarees. A fashionista, recently, tried this uber polished style to a hot and happening party and the look was an instant hit. You can add an embellished belt here too. Yes, this season the magic of belts is capturing the minds of all fashionistas and why not! It is a very trendy look and you can try it at any party and turn heads with your stunning style statement. You can give your saree a fresh new twist by tying your saree pallu around your neck. This is a very easy one, instead of carrying it over your left shoulder, carry it around your neck. 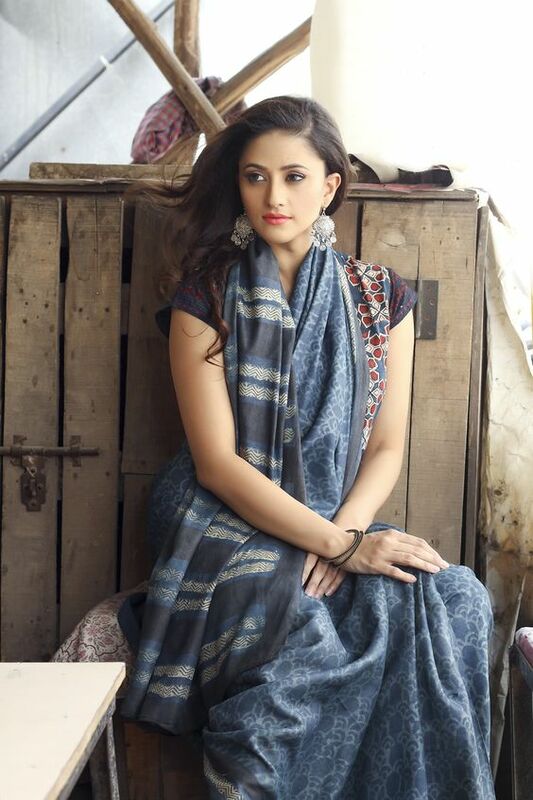 It will look like a scarf and it is a versatile way of enhancing your saree look. Where would you wear it to? To sophisticated parties, don’t forget the high heels and the clutch. Now, that you have noted down all the current saree styles, and how you can revamp and renew your saree wearing style, make sure you try them all out. Whether it is your friend’s wedding or a posh party, you can slay with these inimitable saree styles. So instead of thinking about where to find your perfect saree for a particular event or wasting time in scouring the local bazaar, we suggest you do things differently this time around. Like, how about changing the look of the saree so much that it becomes a whole new outfit. If you are someone who hates repeating sarees, just change the look with the same saree. You can try numerous different looks and style with the same outfit. How cool is that! This is something you’ve never tried but it is such a flattering look, this is sure to upstage any outfit. All we can say this is the season of sarees, so go ahead slay in this elegant outfit.